Christopher Fossey is a musician and teacher currently based in the Welsh capital of Cardiff, working variously as a freelance composer and arranger, accompanist and musical director. He trained at the Royal Welsh College of Music and Drama and was the recipient of the 2010 RWCMD Composition Prize. As an accompanist, Christopher is in much demand and regularly plays for repertoire classes and masterclasses on the MA Musical Theatre course at RWCMD. 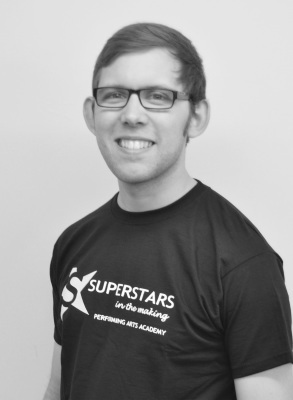 For the Young Actors Studio at RWCMD he is an Acting Through Song tutor and accompanist. Elsewhere, he is the resident accompanist and co-assistant musical director for the South Wales Gay Men’s Chorus who have performed in numerous venues across South Wales and the UK. As musical director, Christopher worked with Cardiff-based Equinox Theatre on 'When You Say Goodbye', a new musical based around the songs of Harry Parr-Davies and Marguerite Monnot which toured several South Wales venues and performed at the London Theatre Workshop last year. As musical director and rehearsal accompanist Christopher has also worked nationally with Youth Music Theatre UK, as well as locally with Superstars in the Making, Orbit Theatre Co. and The Unknown Theatre Co.